Manage vehicles and customize plates via an easy-to-use dashboard. Accessed via a web dashboard or the Rplate App supports all Rplate features including vehicle registrations renewals, plate customization, telematics and more. 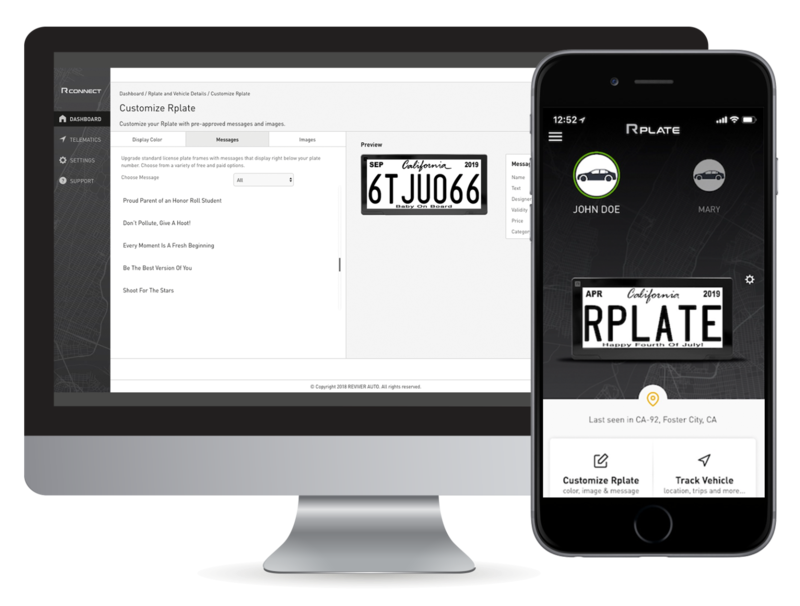 Manage vehicle registration renewal and plate customization via the Rplate App*.